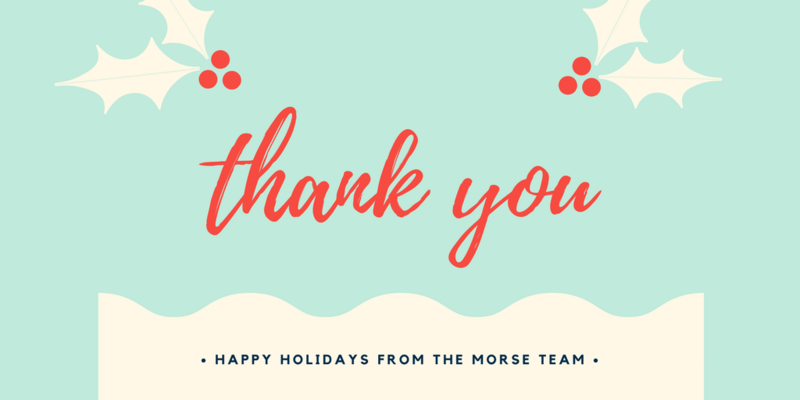 As we enter the holiday season and the close of MORSE’s first year of operation, we wish to express our heartfelt gratitude to the pharmaceutical market access community. We are thankful to our clients, strategic partners (IMPACT, DKDA, and WestPAR), and our dedicated MORSE team members for helping to make this year a success. The 2017 year saw many significant changes in the Canadian reimbursement environment and it is likely that next year will see other significant developments unfolding. We hope that MORSE has provided value to our clients in better understanding and navigating the uncertain landscape and look forward to continuing our work over the coming year. Wishing everyone a safe, restful, and enjoyable holiday season and the very best for 2018.